Back in 2014, my husband and I started a big project. The old barn behind our house had to come down. It was here BEFORE our 1850 house... and would quite literally sway in the wind. As history lovers, it broke our heart to remove it, so we saved every piece of wood. The wall and ceiling wood ran the length of the barn, and were beautiful. We decided that we would save it and use it to create the floors in the house addition we were starting. The moment I saw all the knot holes and imperfections, I knew that mosaicing was going to be a part of the floor as well! 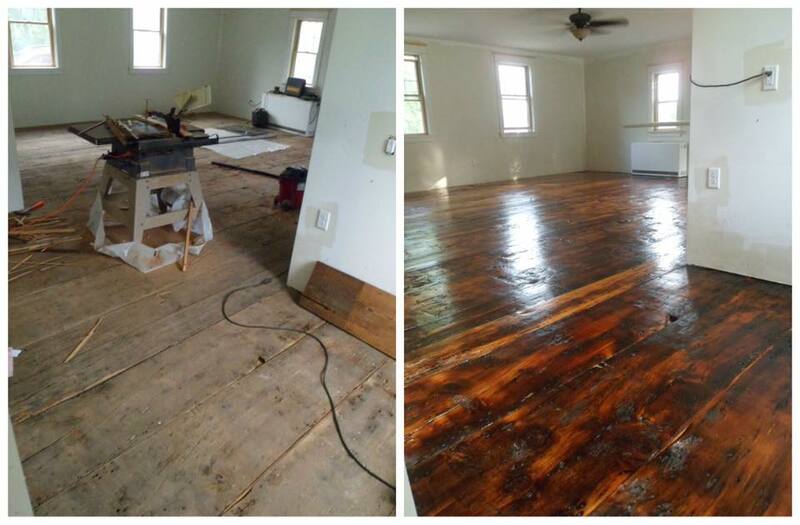 On the left, the floor before and after we sealed it! Thousands of old iron nails had to be pulled out of the wood before we could sand it down. 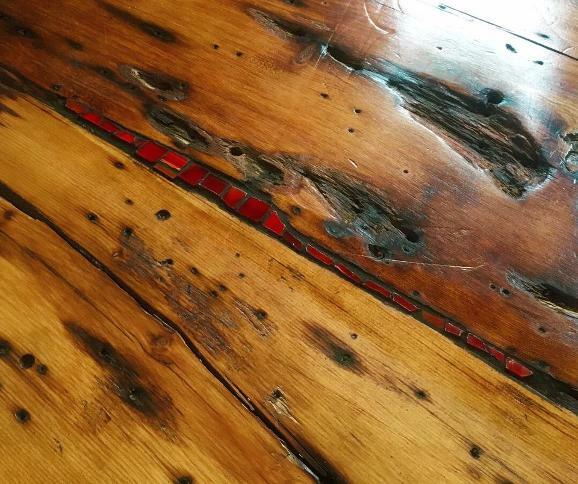 We didn't stain the wood... sealing it alone brought out all of it's colors. 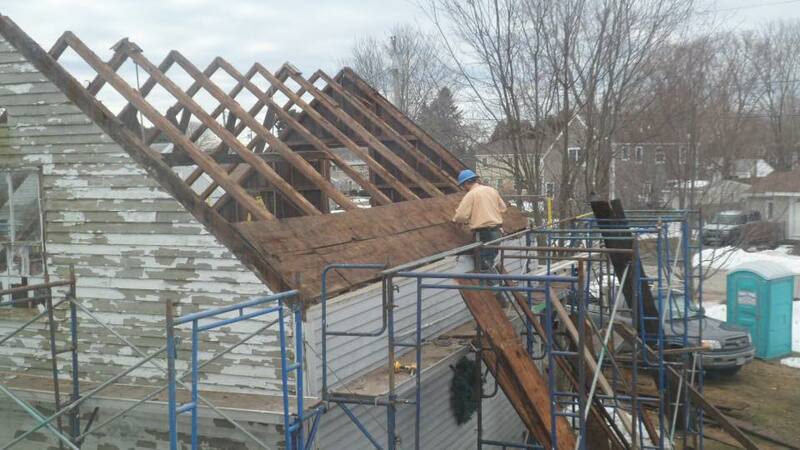 On the right is the slowwwww removal of each piece of wood that was holding the old barn together. I'm so glad we decide to re-purpose! 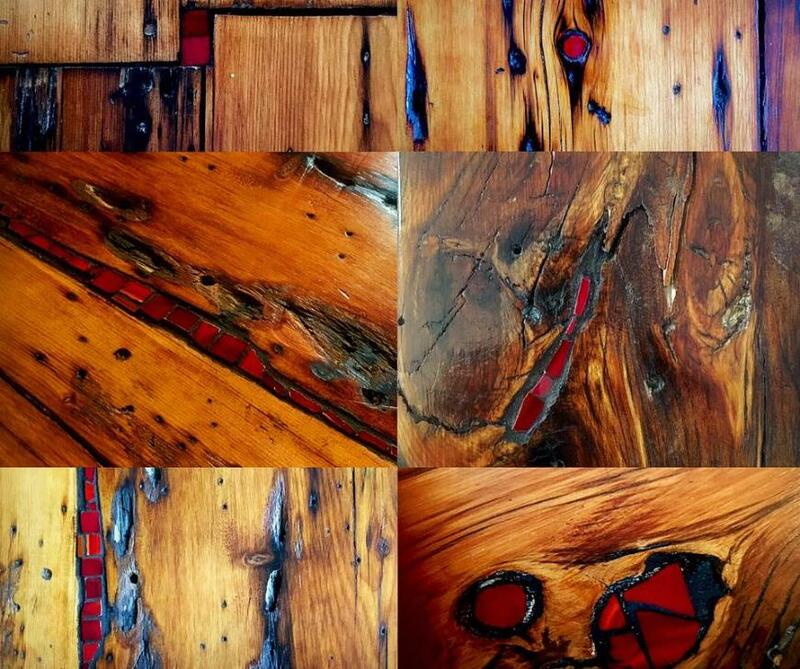 I never imagined I could be in love with a floor so much! !